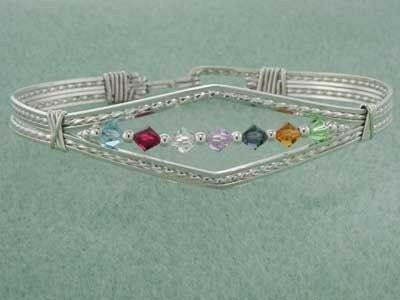 This beautiful and unique mothers bracelet is designed to represent your family. 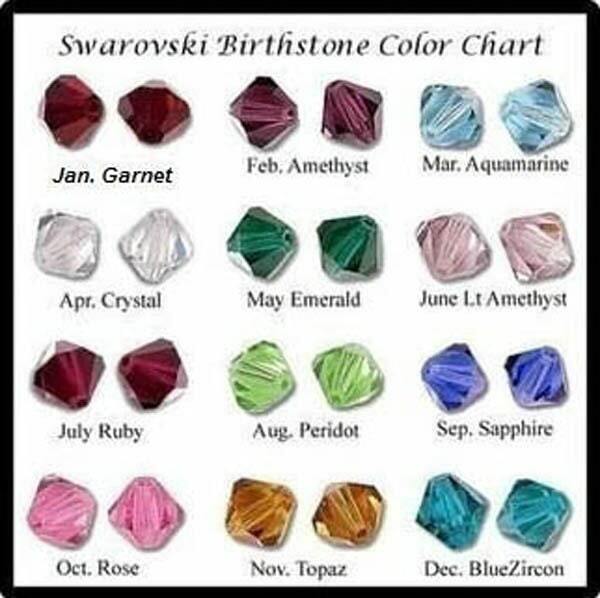 The Swarovski Crystal Birthstone Beads can include Mom, Dad and all the Kids or maybe you want to honor Grandmother with a strand that representS her precious grandchildren. AFTER SELECTING YOUR SIZE PLEASE REMEMBER TO ADD THE MONTHS YOU WANT ON YOUR BRACELET IN THE NOTES TO SELLER SECTION. 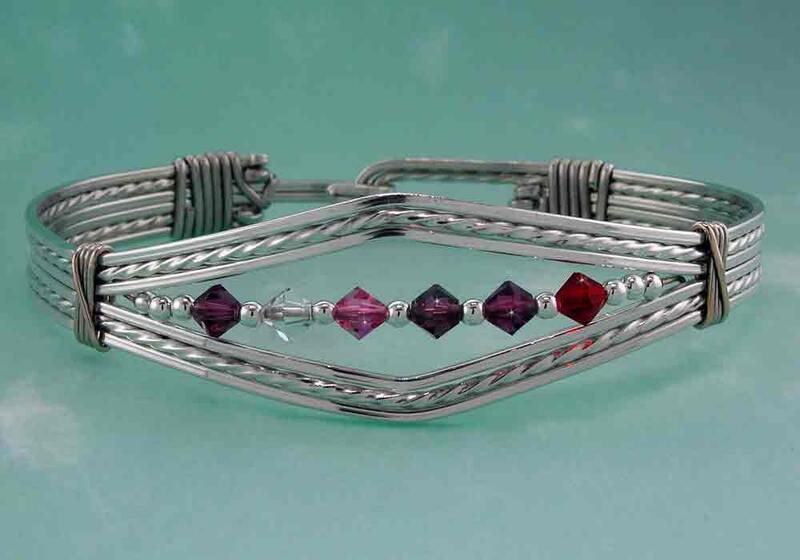 My fine handcrafted jewelry made from solid sterling silver wire. Beautiful Bi-Cone Faceted Swarovski Crystal birthstone beads are combined with silver spacer beads. 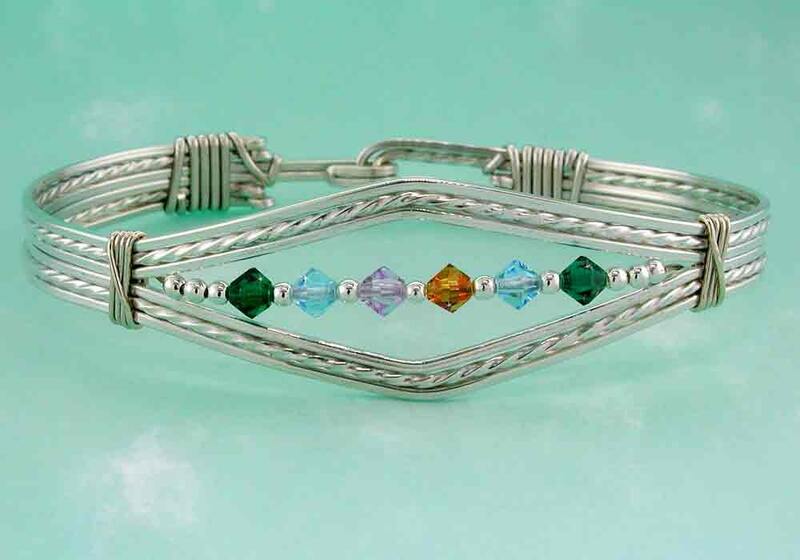 Mothers and Grandmothers alike love this bracelet, it is a very popular seller. Perfect for Mother's Day, Valentine's Day, Grandparents Day, Anniversaries, Birthdays, anytime, and of course Christmas! Pictures really don't do my bracelets justice. You have to see these to believe the quality and workmanship! Sizes include: SM - 5 1/2", MED -6", REG - 6 1/2", LG - 7", XL - 7 1/2"